Good condition. 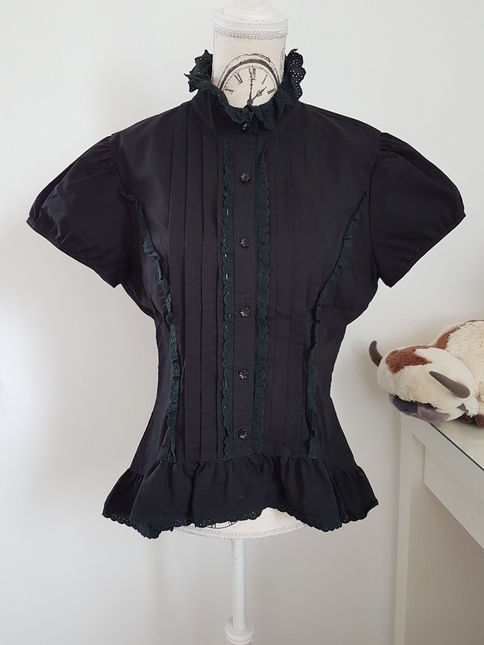 Size L. The bow collar is not on the personnal pic but it will comme with the blouse. Payment by Paypal only. Invoice will be sent in EURO. I do not charge PPfees. Shipping is not include. Because of Paypal conditions, I ship with tracking. I am not responsible for shipping losts and problems. I do not accept returns. I am shipping from France * to France 6€ * to EU 12€ * to other countries 15€. HELLO, Max measurements are waist 80 cm and bust 96 cm.